Any food promotion at Deccan Pavilion is hosted as part of their normal buffet. The specialty items in this case replaced the Indian dishes on the buffet, whereas the usual continental and oriental sections of the buffet stay put. This is to ensure convenience to their in-house guests who may not be experimental in their food habits. I wanted to try out only the Navaitha delicacies, so I ignored the rest of the buffet. We started with a vegetarian and a non-vegetarian platter of starters. The non-veg platter had Chicken 88, boneless strips of chicken in lime and curd marinade. The Tawa Gosht was soft and succulent. I was told that the meat from the mutton raan is cooked twice, first in its fat and then with the masala in the tandoor. This was easily one of the best dishes for the night. Boneless Tala Machhi was the other item, which had a mild taste. 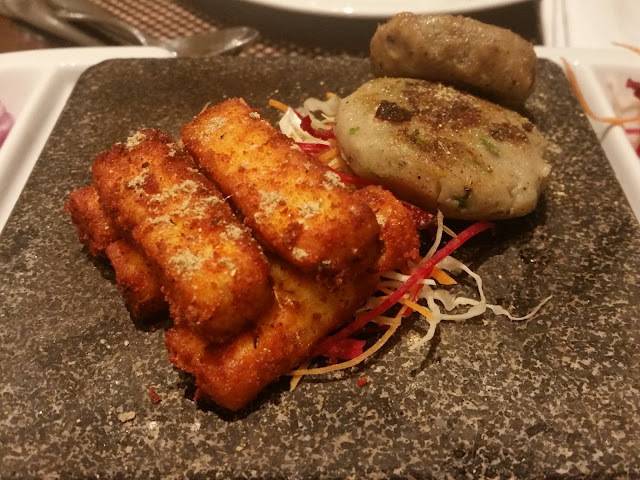 In the vegetarian platter, I liked the Gooler Tikki prepared from mashed potato and raw bananas. The tawa prepared paneer starter was par for the course. 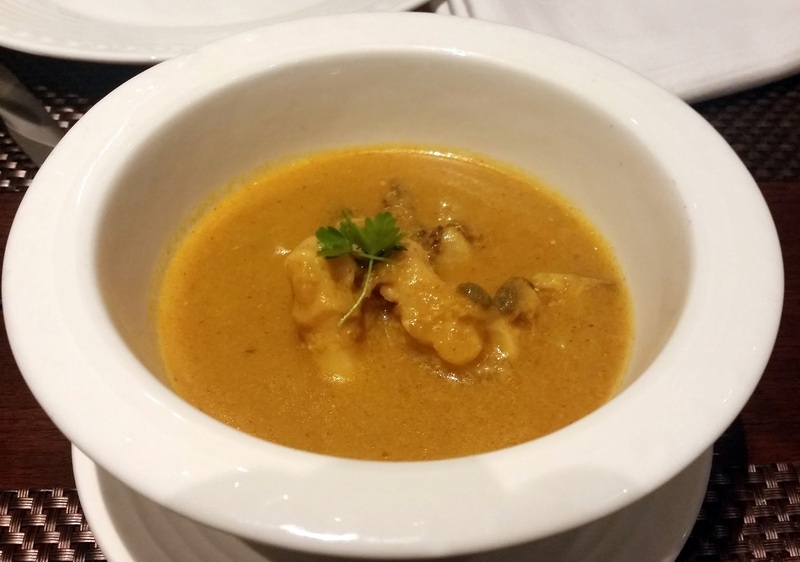 Paya Khamiri came in next – a rich lamb trotter broth which was creamy. I think I will ruffle quite a few feathers but this tasted better that the best of paya dishes I tried out in Hyderabad. The broth was very very tasty and virtually unputdownable. 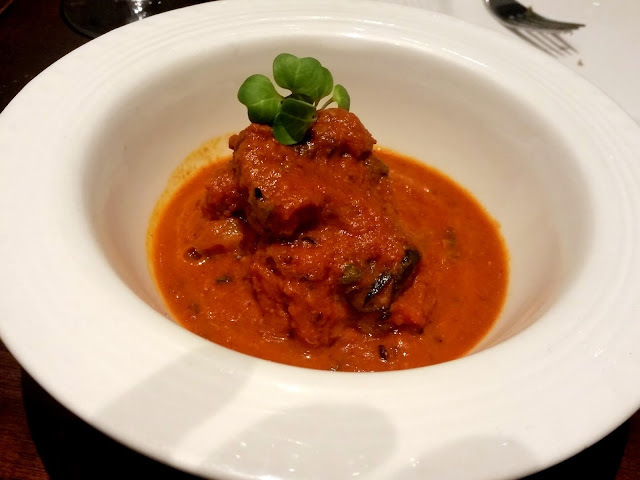 Among the main courses Palak Gosht was decent – again here the mutton was so well cooked that it slid off the bones, and the green gravy was rich and tasty. 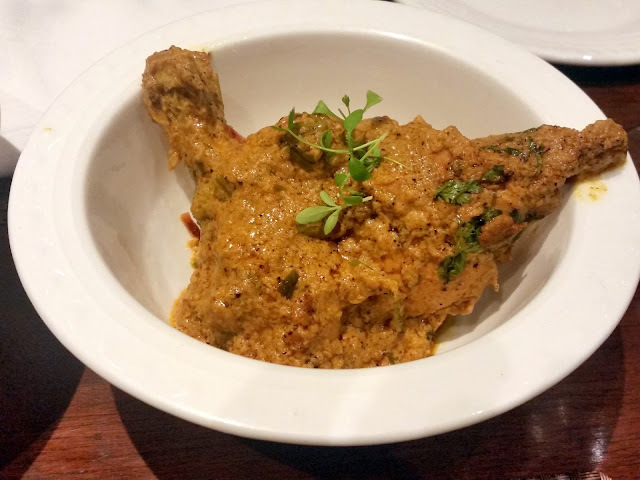 The creamy Sookha Murgh was the best pick here- the thick masala was delicious with the Rotis served with it. Sabsagey Meen the third dish was a tangy tomato based curry presenting a totally different taste. There were vegetarian main courses too – but frankly I did not try out much there except a spoonful of the Soya Lauki. 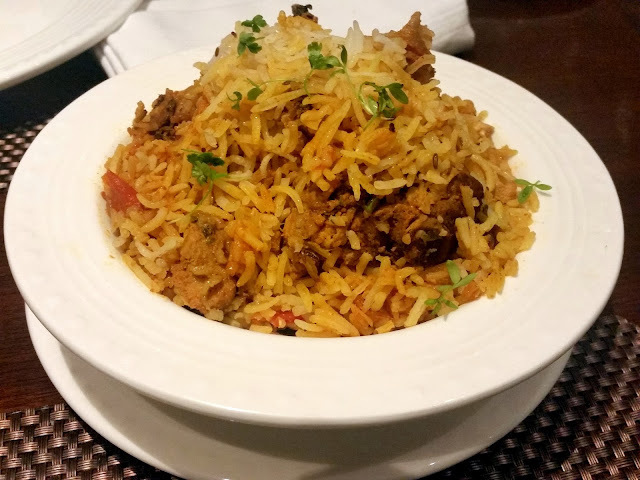 Gosht Tamatar Ki Pulav was again a hit – basmati rice with a rich masala, and the spice level much lesser than the Hyderabadi rice and meat dishes. 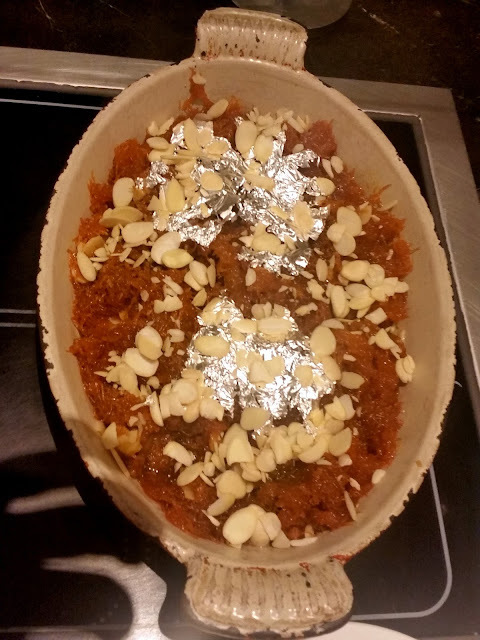 Another difference is the presence of tomato – which as per the Chef Lakshit slows down the preparation time, and adds a different tangy taste to the biryani. The desserts had Seviyan prepared from sweet vermicelli, which looked attractive. However as I am a fan of milder versions of sweets Chawal Ka Kheer, a milk and rice based preparation appealed to me the most. What I liked about the food promotion is that it had some very different tasting dishes. 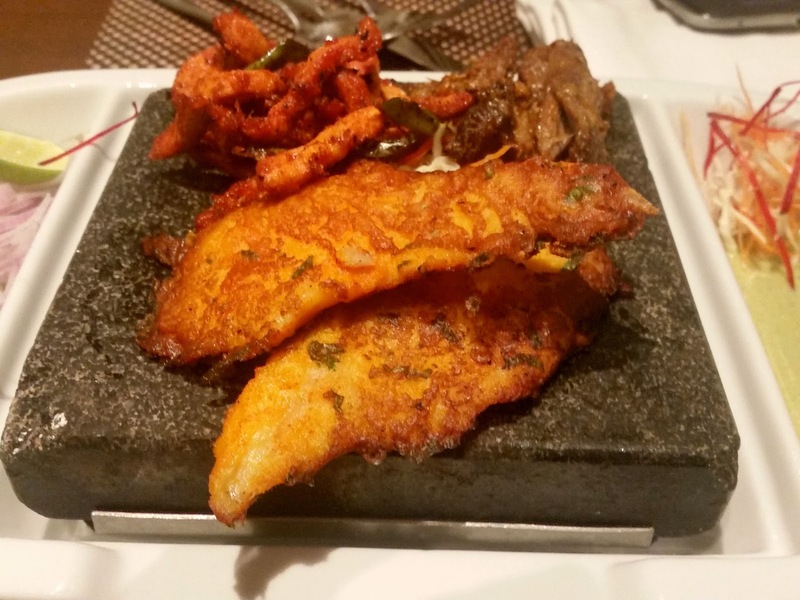 I hope to see some of the hidden gems like Paya Khamiri on the regular menu of the restaurant. It is important for us to bring into the limelight many cuisines from our regions which are not so well known. The promotion is part of the dinner buffet at Deccan Pavilion. It is priced at around Rs 1600 inclusive of taxes.